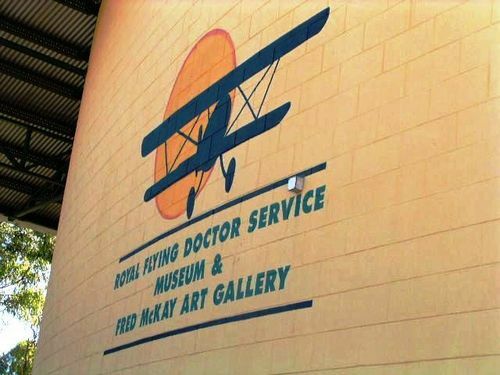 John Flynn Place was built as a bicentennial project to commemorate the pioneers of the Royal Flying Doctor Service. The foundation stone was laid on the 8th October 1986 by the Premier and Treasurer of Queensland the Honourable Sir Joh Bjelke-Petersen. It was opened in 1988 by their Royal Highnesses, the Duke and Duchess of York. John Flynn Place houses a unique combination of historic material, including photographs, documents and artifacts. P. O`Gorman (architect) Uniquest Ltd. Architect - P.O`Gorman Uniquest Ltd.